Sometimes the most mundane questions can lead to great enlightenment. Take for instance Mark Wilson’s The Business of Civil War. It opened my eyes in many ways, and actually led to a better understanding of how and why things worked the way they worked during the war, logistically speaking. So here’s a question: how did the private and public sectors of the Union and Confederacy deal with the huge increase in the number of amputees in their respective populations? What happened when a previously limited demand for artificial limbs became widespread? 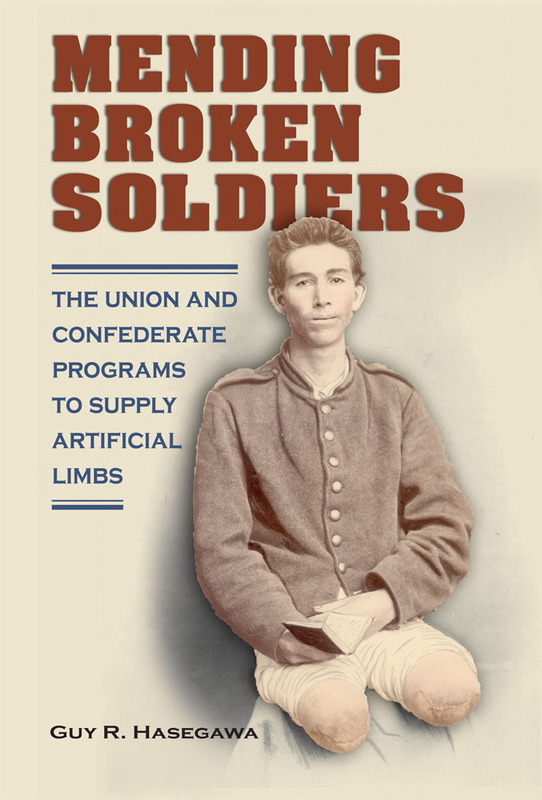 Guy Hasegawa has taken on these questions in Mending Broken Soldiers: The Union and Confederate Programs to Supply Artificial Limbs. I received a copy recently and have skimmed it over. This slim volume relies on an impressive amount of published and unpublished materials, and appears to be clearly and concisely constructed. I’ll be reading this one next, and am really looking forward to it. UPDATE: Author Guy Hasegawa has consented to an interview – keep an eye out for it here.